Fall is upon us and time is ticking. 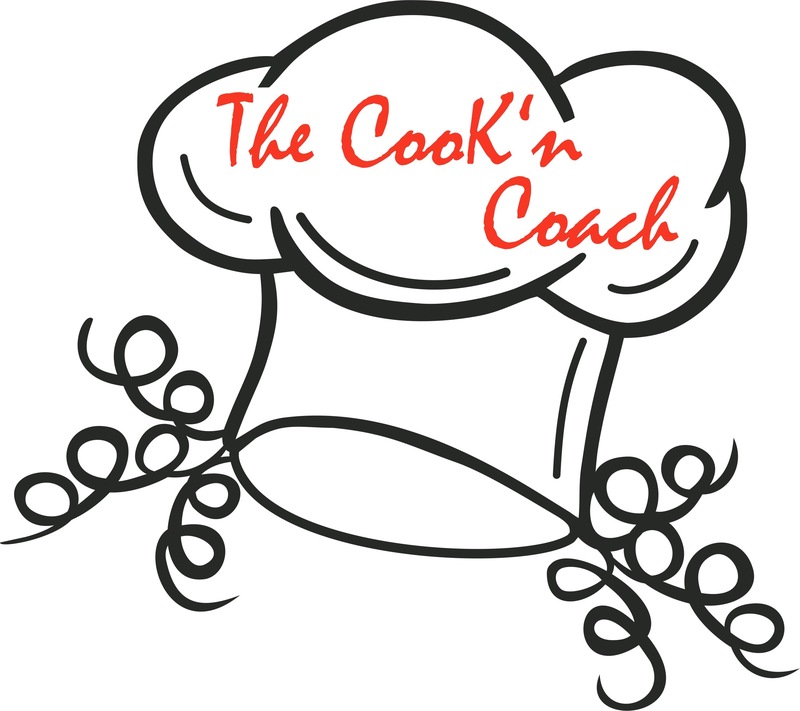 Between soccer, ballet, gym, and your personal tasks, cooking something super quick for dinner can be a challenge. But have no fear! This one is a weekly regular at our home and we LOVE IT. 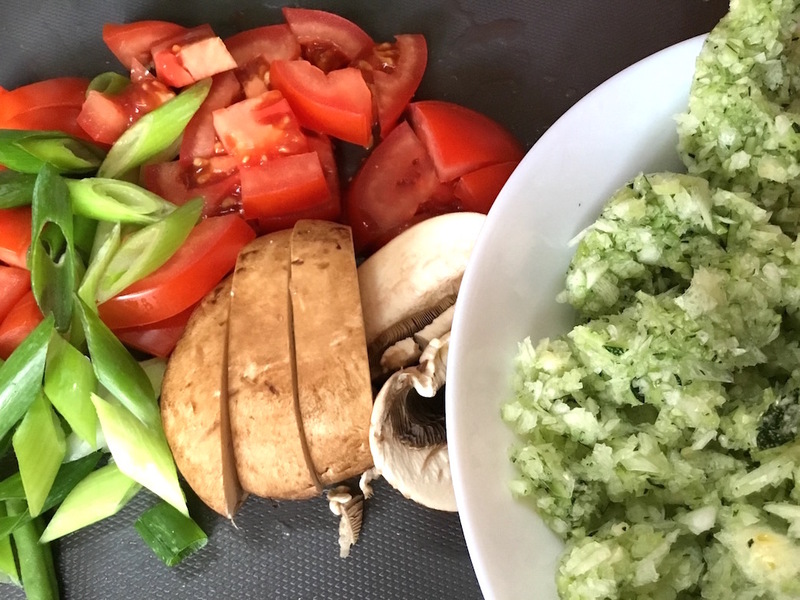 I’m presenting you with our favorite and offering options to keep it squeaky clean from grains by using Zucchini Noodles! 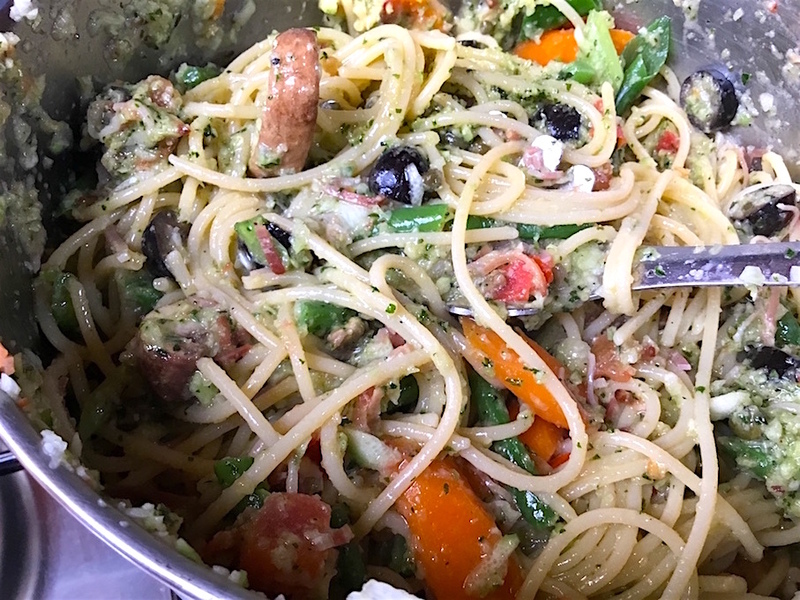 I use my B & B Pesto recipe but you can use store bought or your own creation. 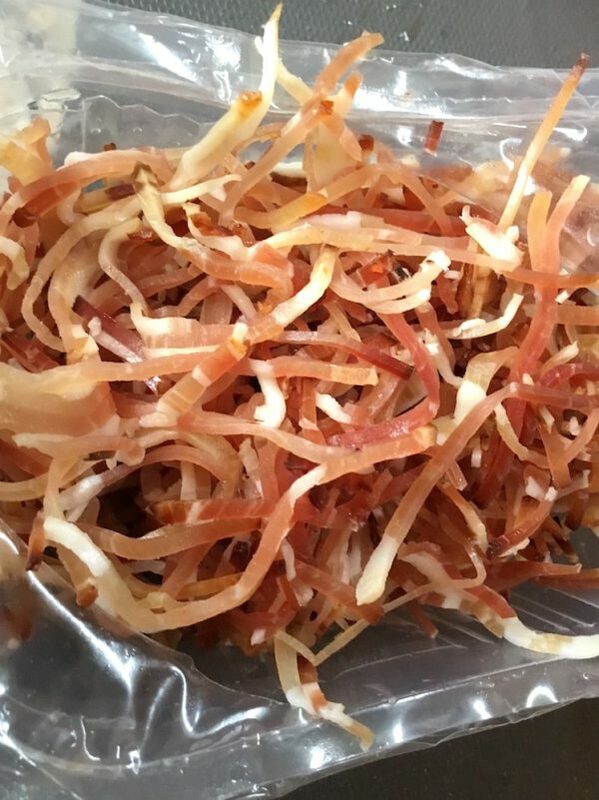 In this recipe, I used Bio bacon from a local farmer that had been cut very thin. I have also made it using Bio chicken and with Bio sausage. 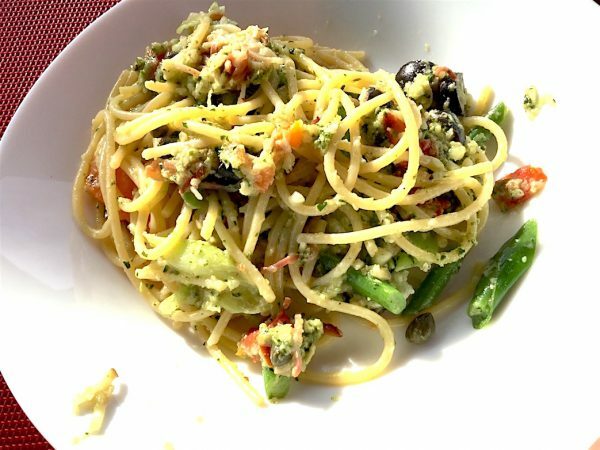 You can also make this vegetarian or as a side dish by simply leaving out the meat. Use any seasonal veggies you have and turn this easy, fast meal into your own creation. It’s sure to become one of the weekly regulars that you can make in a snap. 1 Tbsp capers or more! In a large pot add the ghee and stir fry your bacon until done. When I use meats without GMO they tend to need a little fat to get them fried, yes, even bacon! Set the meat aside. Leave the meat leavings and ghee in the pot. Fill the pot with water and heat to a rapid boil. While the water is coming to a boil, prep your veggies (and make the pesto). Wash, dice and set aside. 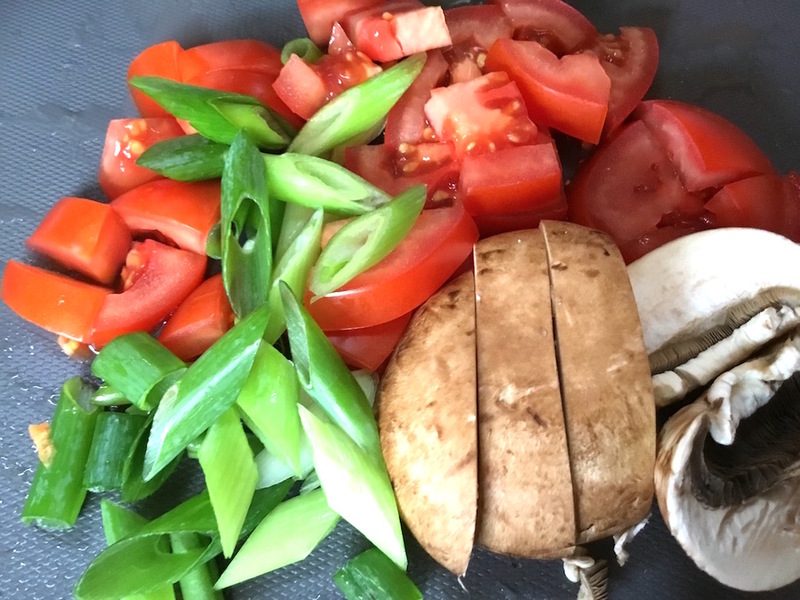 As I said, you can use any veggies laying around for this one. 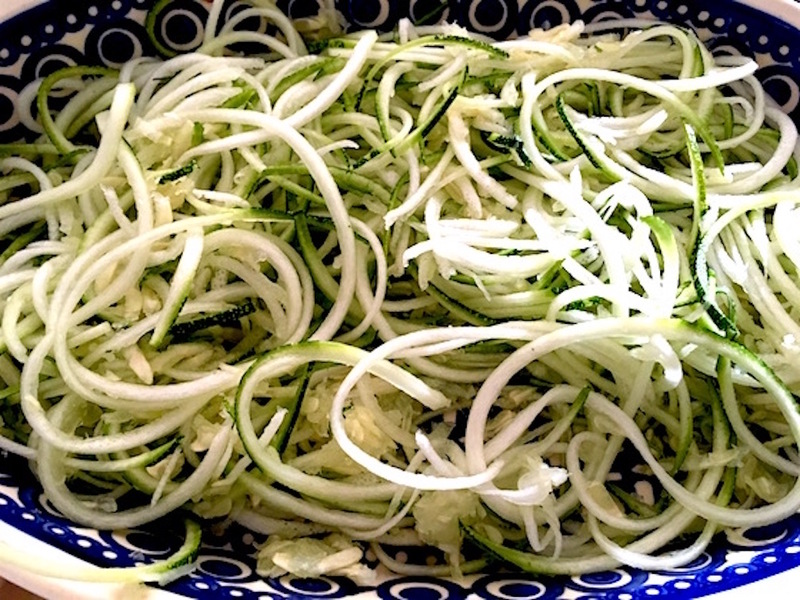 If you're using zucchini noodles instead of gluten-free pasta noodles see the tip below for adding them at the end. Grate your zucchini or place in a food processor until grain size. Set aside! 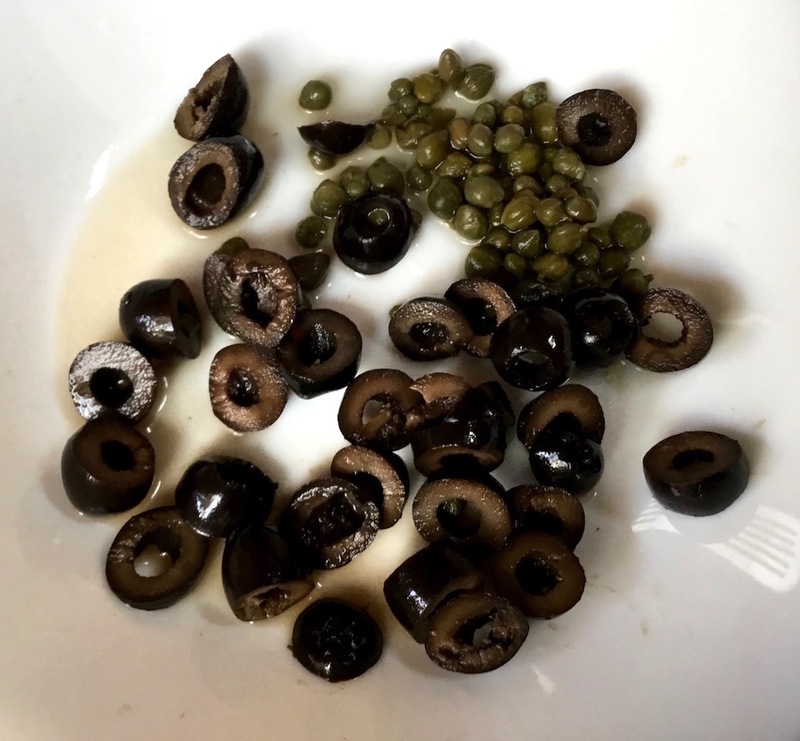 Dice up your olives and if using, scoop out your 1 tablespoons of capers or more. Set aside! 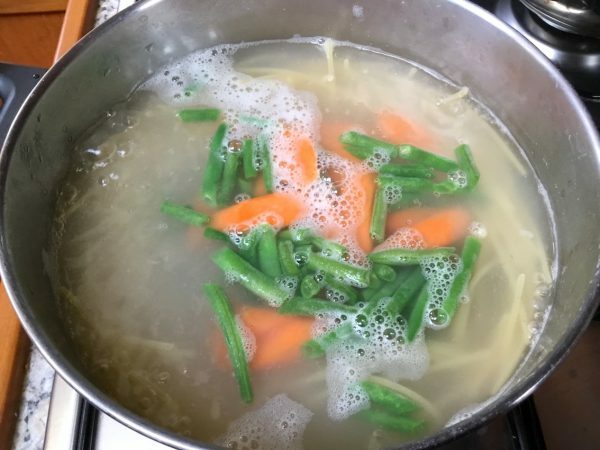 After the noodles have been boiling for 3 minutes, add green beans, carrots and any other firm veggies you have chosen to the boiling pasta. These take the longest to cook and really just need to be blanched. Cook them for 3 minutes along with the pasta. 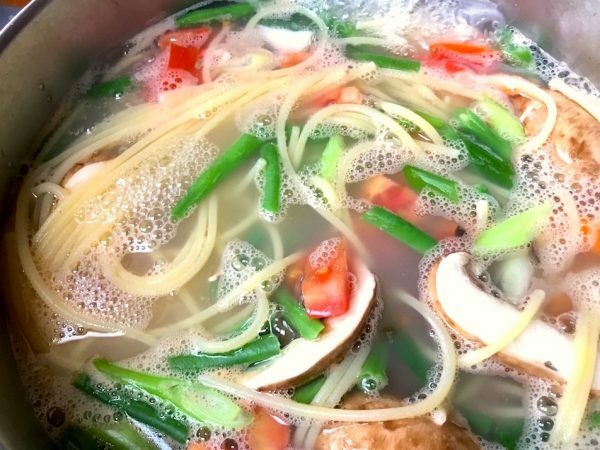 After 3 minutes, add the mushrooms, tomatoes, green onions and other softer veggies you might be using that only need a few minutes to blanch. Boil for 1 to 2 minutes. This should be 7-8 minutes total. Check your pasta! 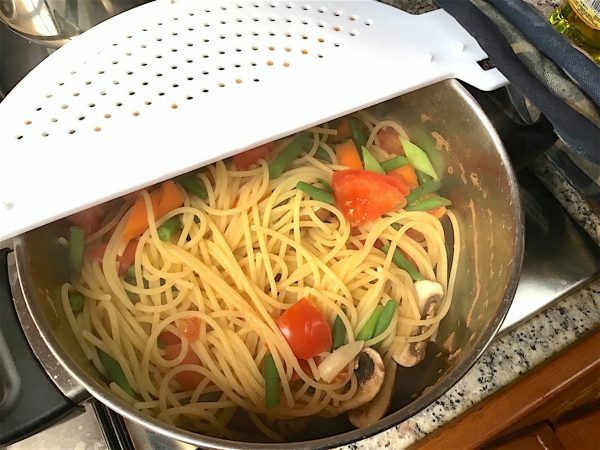 Once pasta is tender, drain the pasta and veggies! 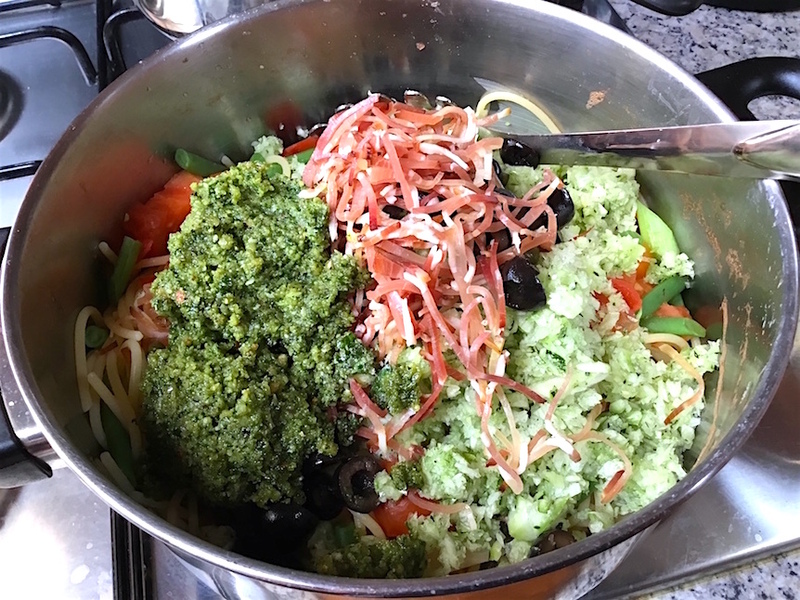 Now add the remaining ingredients, pesto, grated zucchini, olives, capers and bacon or what ever meat you have prepared. Give it a nice mixing! Snap it up with a little salt and pepper. You can always add a dash of Italian seasoning as well but for sure a shake or two of red peppers gives it a power punch! 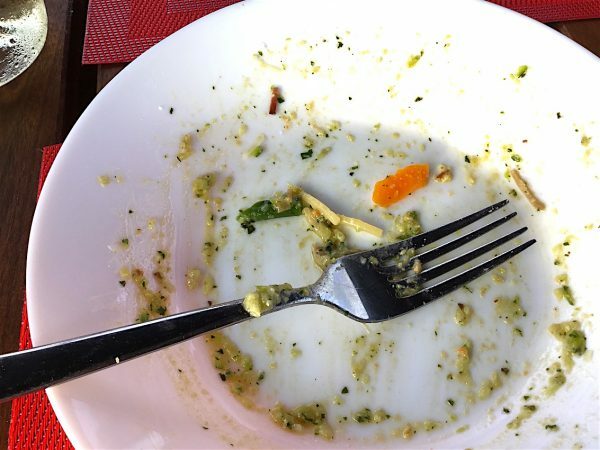 We enjoy this dish with Brazil Nut Parmesan! See the link below. Store the leftovers in a sealed container for lunch tomorrow...that's if there's any left! 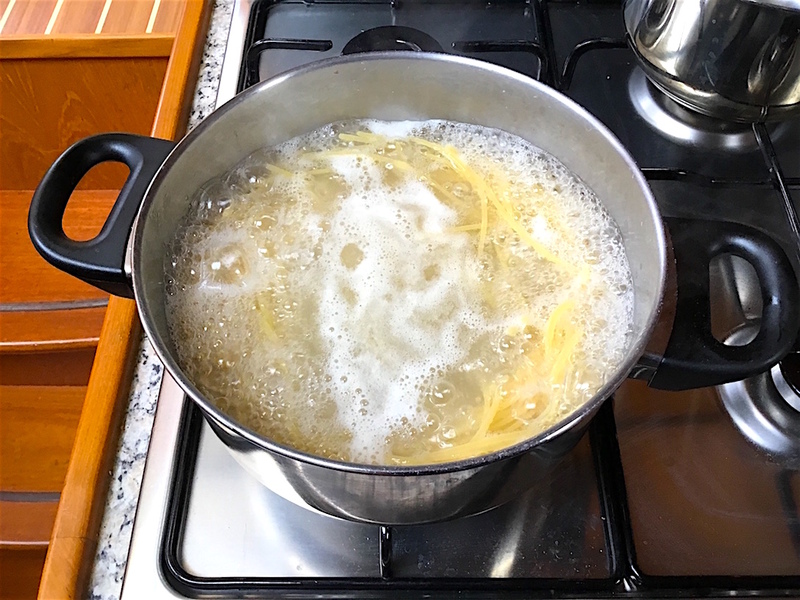 Zucchini Noodles-After you cook the meat of your choice in the large pot, carry on with the directions by boiling a pot of water in the same pan you cooked your meat. 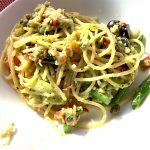 Continue to follow the directions and add the zucchini noodles before adding the pesto, grated zucchini olives, and caper!